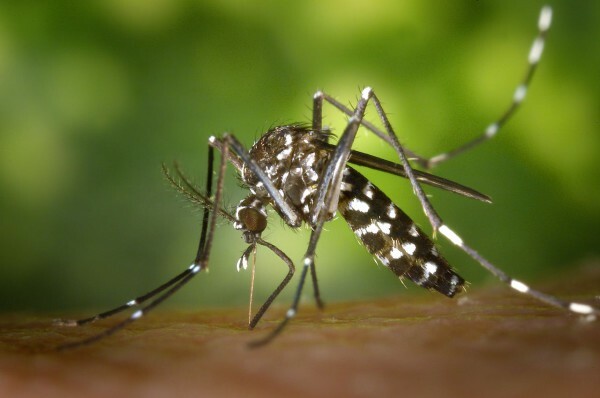 The virus is spread when an infected individual travels to a previously unaffected area and is bitten by an Aedes aegypti or Aedes albopictus mosquito any time from about 3 days prior to showing symptoms up to almost a week after recovery. Once introduced into the mosquito population it can multiply and spread quickly. Until recently it was only known in Africa and the tropics of the Eastern Hemisphere but nearly 60,000 cases were confirmed by the Pan American Health Organization in the Caribbean islands the first half of 2014 and it was showing up in Costa Rica later in the year. It’s quite likely there have been many cases in Costa Rica misdiagnosed as Dengue Fever. According to Roberto Castro Cordoba of the Bureau of Health Surveillance until mid 2014 no hospital in Costa Rica did not have the capability to identify the virus. Since samples had to be sent to the CDC in the U.S. few were ever analyzed. Heading into the rainy season in 2015 Chikungunya was firmly established in Costa Rica and a top priority for health officials. Good News – it’s probably not critical if you’re misdiagnosed with Dengue since the treatment is the same (replace fluids, reduce fever and wait). Bad News – there’s no vaccine or cure. Good News – once you’ve had it you’re probably immune to getting it again. Unlike Dengue fever which can be much more dangerous a second time around Chikungunya seems to behave more like Measles or Chicken Pox only infecting any individual once. Bad News – an epidemic in Central America is inevitable. The vector mosquitoes are already present in large numbers in Costa Rica and other Central American countries and the first patients have already arrive to pass the virus to them. Good News – Chikungunya is much less likely than Dengue to be fatal. Bad News – there’s no vaccination and no cure. Good News – the same preventive measures used against Dengue work against Chikungunya. Avoid standing water (empty the vases in your hotel room), use DEET repellent, long sleeves and long pants to avoid bites. Bad News – Tiger mosquito or forest mosquito, Aedes albopictus (sometimes called Stegomyia albopicta) are more active during the heat of the day than the Dengue vector Aedes aegypti which are most active at dawn and dusk. More bad news arrives with Chikungunya. Although the tropical forest of Costa Rica are perfect habitat for Tiger mosquitoes the species has also adapted cold tolerance and is well established across the the eastern United States nearly to the Canadian border. Several dozen cases have already been reported in the U.S. So far all have been attributed to contracting the disease while visiting the Caribbean or Africa but inevitably one of these travelers will infect the mainland mosquito population.